If you’re tired of things mundane and ordinary here are some great ways to bring in some spark into your daily life. With some power of design and creativity you can turn your home into a wonder world or at least something very close to that. Take a look at these amazing design solutions and features that will make you want to change something and try new things. These certainly made our week! Centerpieces as we know them are always easy on the eye and make for a nice addition to decor. 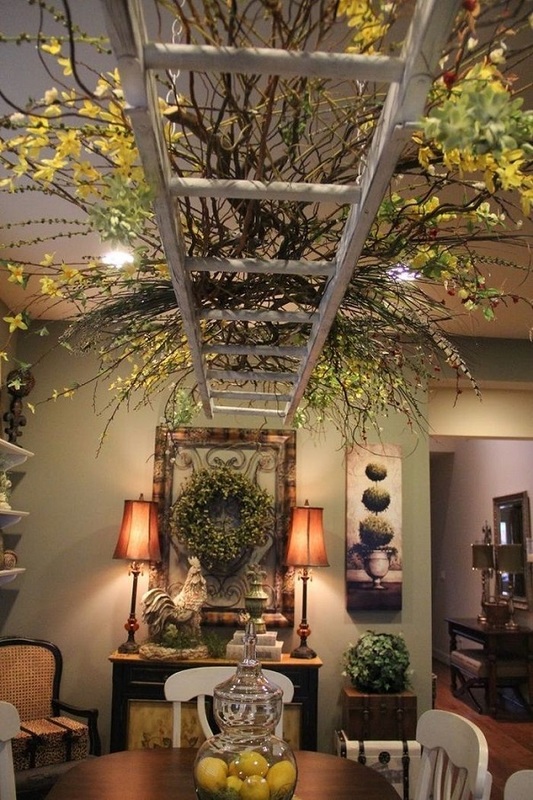 But when you take them up a notch (or up to a ceiling) they look even more impressive. 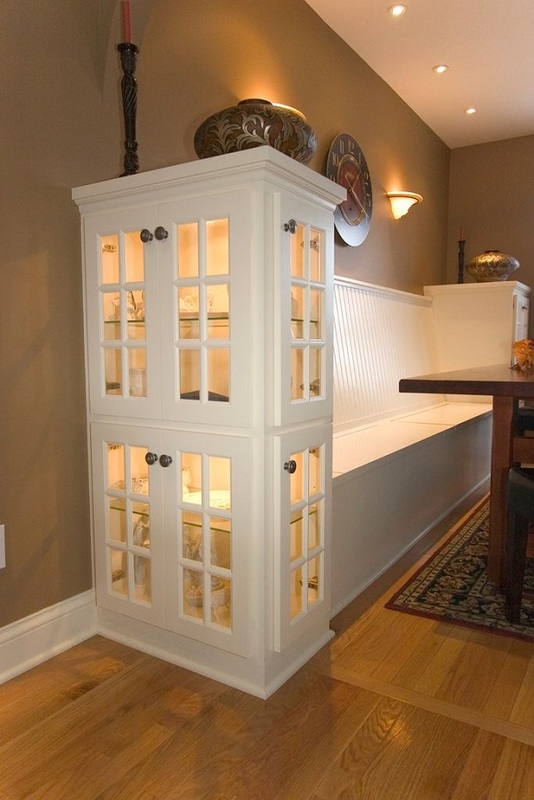 A dining/breakfast area with a built-in bench that has illuminated glass cabinets on either side? Yes, please. A cushioned seat or a couple of throw pillows wouldn’t hurt but the concept itself is pretty amazing eventhough it might appear a bit museum-y to some. 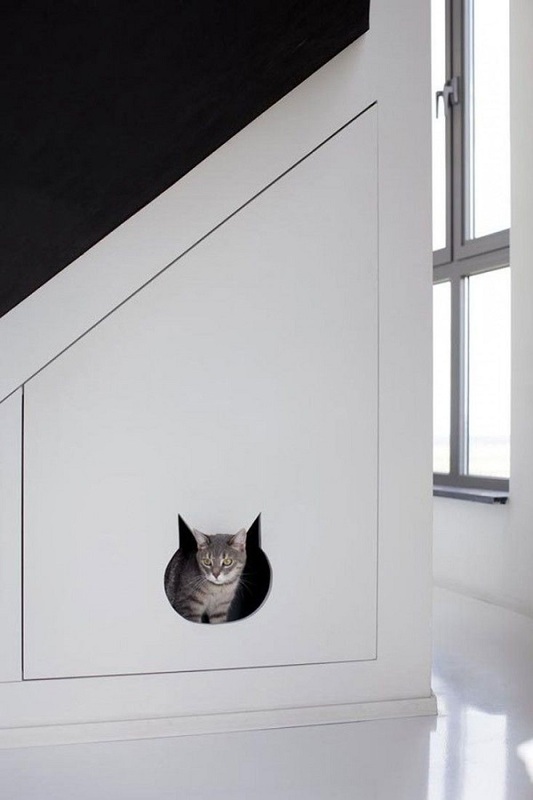 Bham Design Studio has built this cat house in that space under the staircase and it’s perfect. The cat head-shaped entry indicates the pet in the house and makes it more interesting and appealing. There’s something about watercolor that makes any design better somehow. Have you noticed? We also totally love the assymetrically layed out rug under that bed. What can be more beautiful than real flowers? 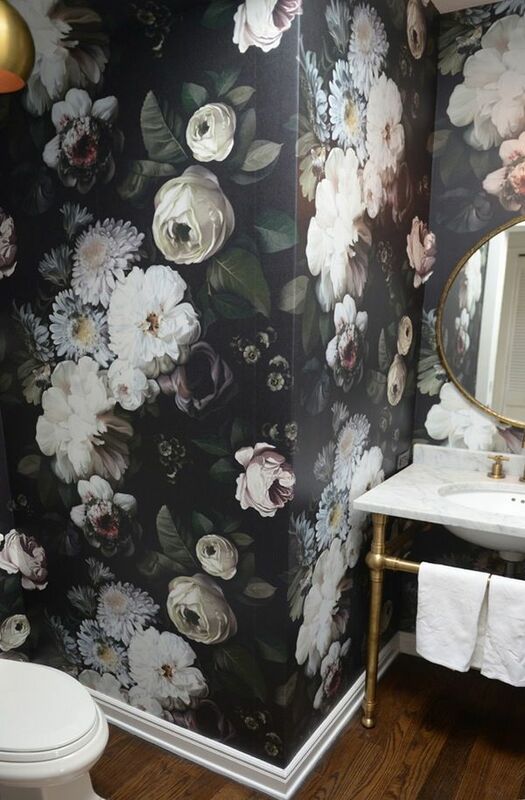 Well, this realistic flower wallpaper comes close, especially enhanced by white plinth and marble sink. 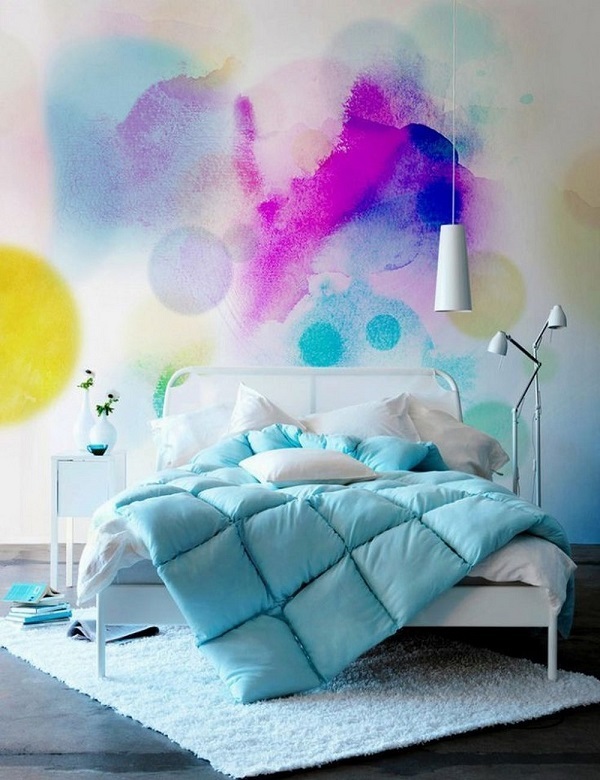 You can always add a piece of painting or photography to a simple decor that will make it more interesting. It shouldn’t be expensive but it definitely should correspond with the decor and express you stylistically.